Happy (early) Earth Day 2018! Like I talked about in this previous post, this year one of my main personal goals is to shop sustainably as much as possible, for clothes and housewares in particular. I’m happy to report that I’m killing it so far, and getting some great deals in the process! My goal to shop more sustainably has also manifested itself in other ways, like being mindful about using less plastic. Today I’m sharing a few small ways I’m making a difference for the planet, and I hope they inspire you to make a few changes yourself. Every little bit helps! I’ve needed a couple of pieces of furniture to round out my new apartment, and have been able to find everything secondhand. 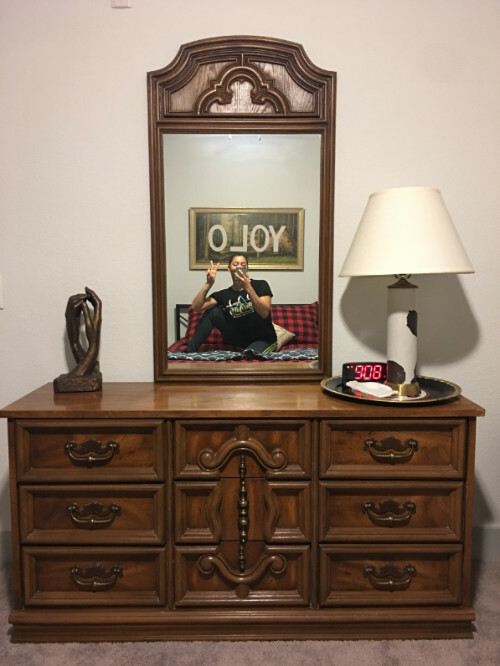 For example, I needed a larger bedroom dresser and found a cool 70s one for $15 on Facebook Marketplace. 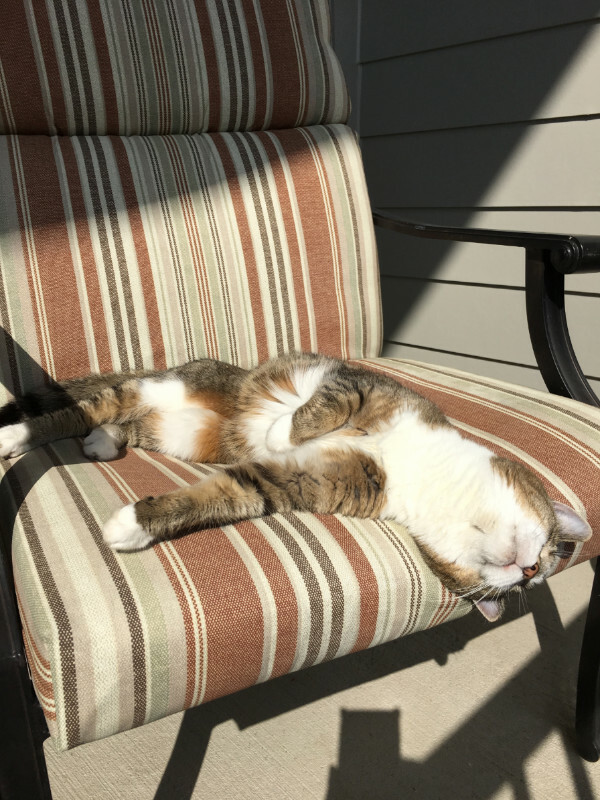 And now that I have a small outdoor space, I’ve been looking for patio chairs so I can sit out and enjoy it. I found some at a vintage store that turned out to be on clearance — I got them for $10.70 total! One of my favorite bargains of all time. 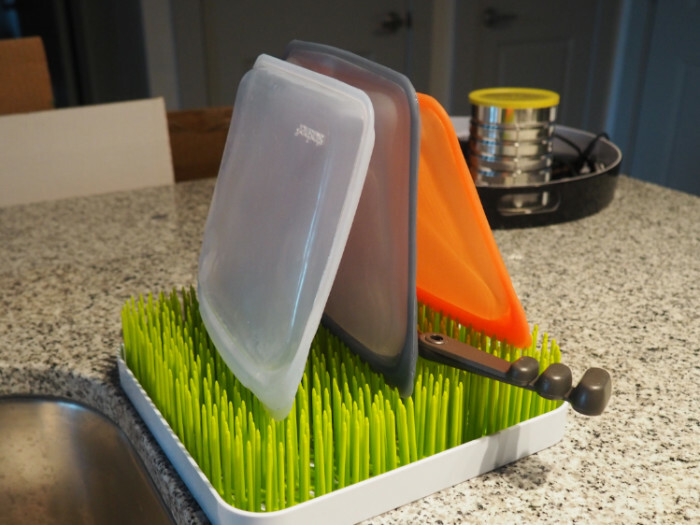 Another recent favorite of mine has been using these sandwich-sized reusable silicone bags from Stasher for snacks and leftover bits and bobs in the kitchen. (These were sent to me as press samples.) Stasher bags are self-sealing, microwave, oven, and freezer safe. They will last you pretty much forever, but should you ever need to recycle them, they can be sent back to the company for recycling. 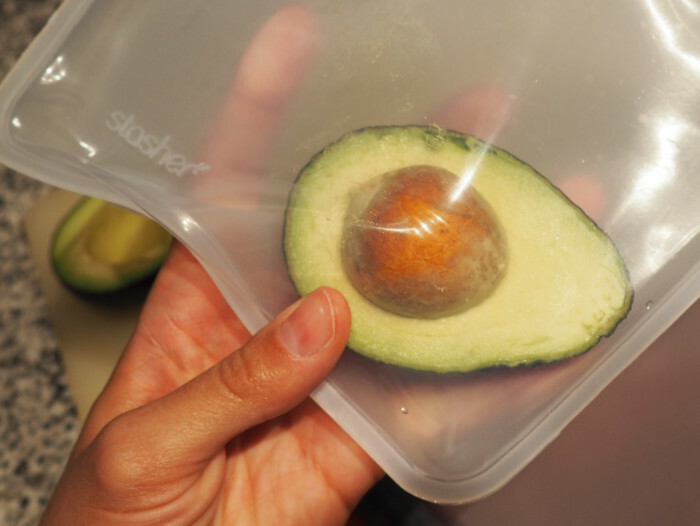 One of my favorite uses for my Stasher bags is for halved avocados — I’ve noticed they don’t go brown as quickly in these as they do in regular sandwich bags or in the Pyrex containers I usually use. I’ve just been keeping these right on top of the plastic sandwich bags in my cupboard so that I reach for them first. Not only do they make their awesome products right here in the U.S., Stasher is a women-owned business. Now that’s a company I can get behind! Shop Stasher here. Although most things we buy are packaged in some way, I try to choose products packaged in aluminum/metal, glass, cardboard, or paper. Glass and metal are infinitely recyclable and paper products can be recycled several times, but plastic can only be recycled once or twice before it has to go to the landfill. In the interest of using less plastic, the biggest change I’ve made recently was to stop accepting plastic grocery bags. Instead, I bring my own bags and opt for a paper bag if I ever happen to forget them. My favorite reusable grocery bags are the iconic blue IKEA bags, so I keep two of those plus a couple of other sturdy tote bags in my trunk so they’re always at the ready. But I needed a solution for scooping the litterbox. The main reason I hadn’t given up plastic bags until now was that I used them to scoop my cat’s litter. Well, I did a little research, found out there are biodegradable and compostable dog waste bags, and decided to start using those for litter. They work great! I use these ones. There’s a popular movement called Zero Waste that encourages people to eliminate as much plastic usage and excess waste as possible. It’s a great cause, but many people have started to realize that the name Zero Waste leaves little room for mistakes, and it’s easy to become discouraged if you don’t get it right all the time. A new movement has arisen in response to Zero Waste called The Low Impact Movement. It was started by influencer Sustainably Vegan and its focus is on doing your best to reduce waste as much as is feasible for you, without beating yourself up for slip-ups or things out of your control. Check out the hashtag #thelowimpactmovement for inspiration and more info! Have you made any sustainable changes in honor of Earth Day 2018?